I have always swooned over plantains with their sticky sweet, starchy flavour and texture, like a cross between a sweet potato, banana and own unique hearty, exotic flavour. Plantains are a good source of fiber, vitamins A and C, potassium and are about 220 calories each. The sweet flavour is remarkable. Heat oil in a saucepan; Add in crushed garlic, onion saute for a minute or so. Add tomatoes and saute until mushy. Add plantains and cook for 3-4 minutes. Add mushrooms and continue to cook for 4-5 minutes more. Stir in chilli powder, ground cinnamon, crushed black pepper, salt and cook until the raw flavour goes off and coats well with veggies. Heat a skillet and place the flour tortillas on the hot skillet and heat for few seconds flip and then warm for another few seconds. Repeat with all other Tortillas. Place generous handful of leafy greens/salads on the warm tortillas. 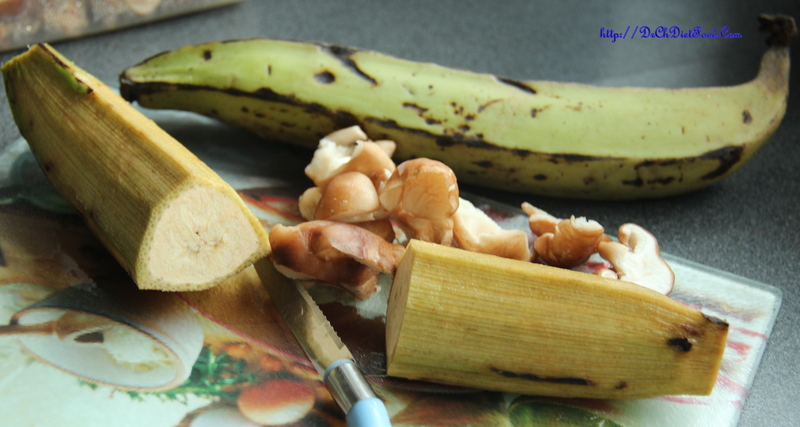 Scoop 1-2 tablespoon of plantain-mushroom mixture. 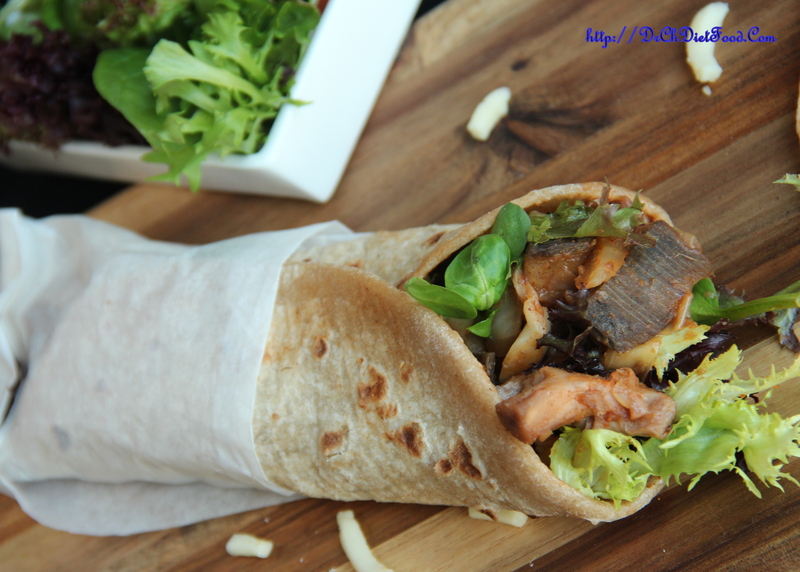 Drizzle some cheese, wrap them up and serve immediately. 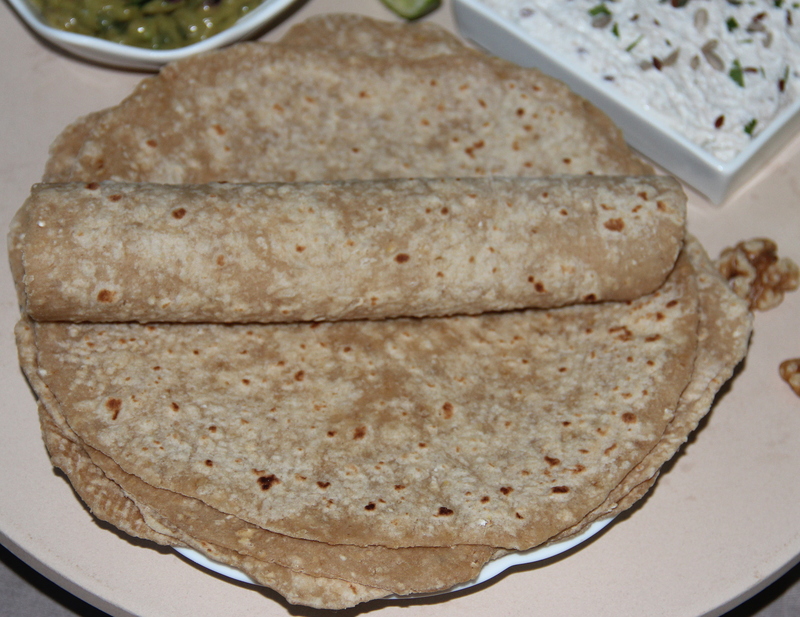 Combination of the vegetables and fillings can be personalised as per the taste. 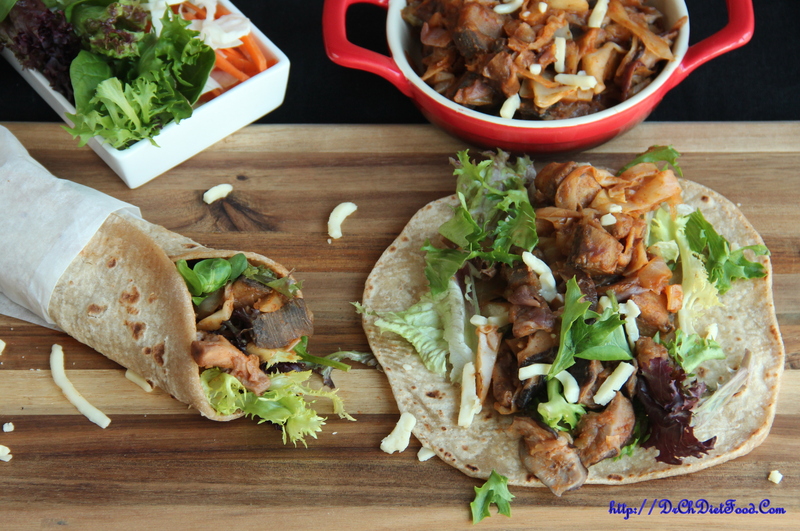 I used home made tortilla but you can use store bought tortillas alternatively. Posted on April 20, 2015, in International, Soups, Salad and Wraps. Bookmark the permalink. 24 Comments. And thanks for stopping by my blog and liking my posts. It really means a lot! 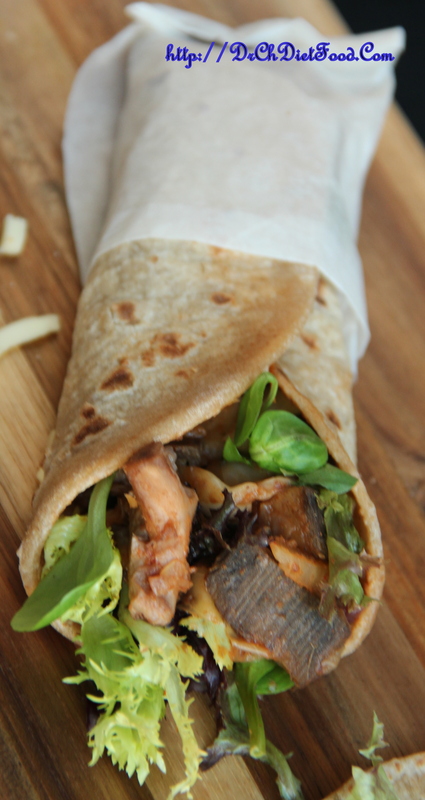 Check out these amazing Mushroom Plantain wraps from Chitra’s Healthy Kitchen. I highly recommend her blog to anyone who enjoys cooking! All your recipes look and sound delicious Chitra, I’ve really enjoyed exploring your blog and I’ll be back when I need inspiration! these look good! thank you for posting the calories, too.